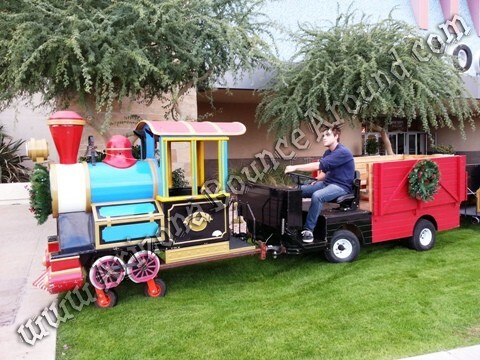 Rent a Christmas themed trackless train in Denver, Colorado for your next holiday party or event. It holds up to 20 people and has 3 lighted Christmas wreaths to fit the holiday theme just like the Polar Express. You can use it to shuttle people back and forth during your event so the uses are endless and everyone will have a great time riding the Colorado Experss trackless train.